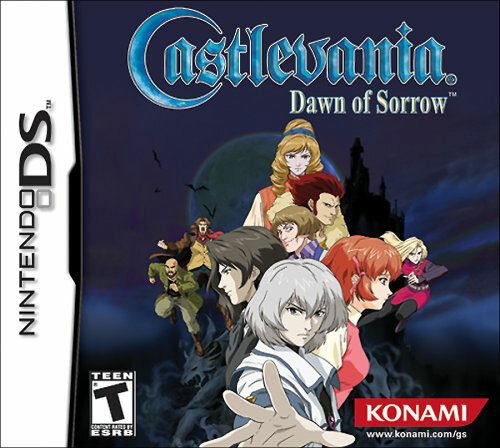 Castlevania: Dawn of Sorrow is the direct follow-up to Aria of Sorrow. 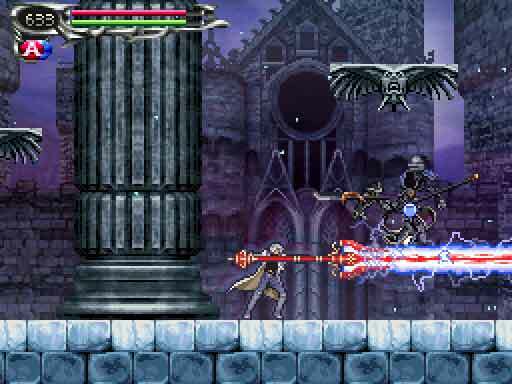 That’s surprising, because, in spite of all the games in the franchise, only a small number of Castlevania’s heroes have returned in a direct sequel. So, how does this follow-up compare to the original? Let’s take a look. We return to the shoes of Soma Cruz. A year has passed since the events of Aria, and Soma believes that he is free from the Dark Lord. After fleeing Dracula’s Castle, he has been unable to call upon the powers that he gained. This peace is not to last, as a cult leader named Cecilia Fortner attacks Soma with monsters. 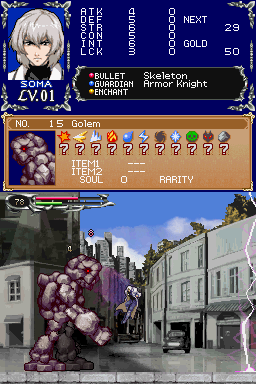 Soma finds that his powers are not gone after all; as he dispatches the foes, he obtains their souls. Soma learns that Cecilia was trying to kill him, so as to make way for a new Dark Lord. She reasons that God cannot be good unless there is an embodiment of evil to oppose Him (I’m not entirely sure of the logic there, but okay). She has two candidates to take up the mantle after Soma is dead. Soma travels to the cult’s compound to stop this new threat. I’ll say this: Soma’s motivations for exploring the cult’s compound actually make sense this time. Aside from merely stopping the cult (and saving himself in the process), he is also protecting Mina, who was with him during the attack, and is now a potential target. But, while his motivations now make a lot more sense, he’s lost something else: his introspection. I mentioned that Soma is the most introspective of all Castlevania heroes. Well, in this one, there are really no questions he has left to answer, and the story loses a lot of depth as a result. It’s a shame, since Cecilia’s worldview and Soma’s reaction to it could be compelling plot points – if the story wasn’t so intent on her being simply evil and him being the simply good. While the story is a definite step down from Aria, it’s the gameplay that the team clearly wanted to experiment with. Since Soma “conveniently” lost his powers at the end of Aria, he begins with nothing, and, once again, the “gotta catch ‘em all” addiction is back in full swing. There’s a new wrinkle this time. As you played through Aria, you’d get some enemy’s soul more than once. Having more than one didn’t do anything for you, but this time, you can potentially use those souls to improve your weapons. I remember on my first playthrough, I didn’t use it at all, but this time, I used it a little bit. It works well if a soul you won’t use or have more than one of that can be cashed in for a more powerful weapon. And, more than once, I ended up trying to grind for a certain soul to upgrade my weapon. Problem is, soul drops are still completely random. It’s easy to lose interest when you never know for sure if you’re going to get the soul you want. Ultimately, the systems in Dawn of Sorrow aren’t better or worse than Aria; they’re exactly the same, and that’s disappointing. Soma has a couple of new moves in this one. For one, he has a new special attack with a tap of the A button. This doesn’t seem to have been completely thought through, since it’s rarely useful. For another, to defeat bosses you’ll need to trace new magic seals on the touch screen. This works okay, but I’m glad it didn’t return for later installments. However, now the top screen shows either a map or character information, both of which are very useful. Level grinding is easier when you can see the numbers go down, and it’s handy not to have to pause the game to see where you need to go. 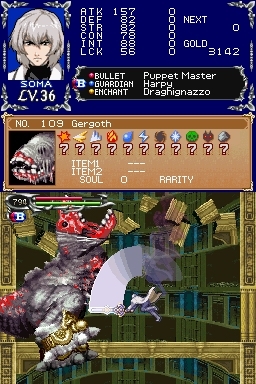 The bosses in this game in this game are pretty wild, and a big improvement over Aria. Even though it wasn’t that long ago that I played Aria again, there are only one or two bosses that really stood out. In Dawn of Sorrow, I can recall a lot of them: fighting a boss as we fell several stories, fighting a fish while you can’t swim, the human forms of both Dmitri and Dario; there are lots of impressive boss fights. 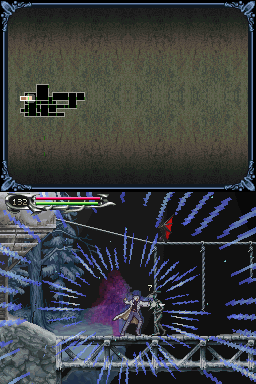 This is probably the only part of Dawn of Sorrow that’s better than its predecessor. Graphics and sound are a clear improvement over the GBA title. The sprites are more detailed, as you’d expect. However, the music is the biggest improvement. 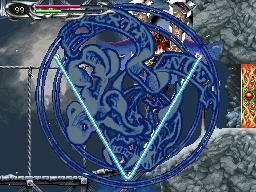 While the themes in Aria were strong enough to overcome it, the music had a fuzzy quality. 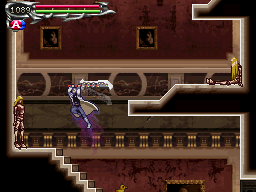 Dawn of Sorrow’s themes are much cleaner, with CD quality sound. I couldn’t be happier with the results. 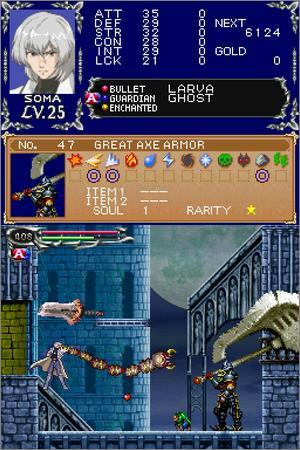 The Castlevania series was now in its fifth Metroidvania incarnation, so gameplay should be pretty obvious by now: Soma progresses through the area, acquiring new abilities that allow him to access more areas. There’s nothing new here, but that’s okay. 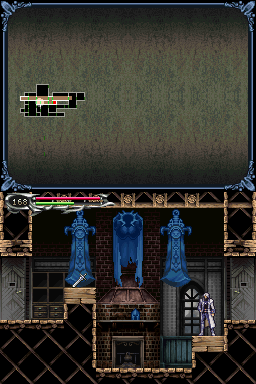 Aria of Sorrow experimented with the formula, and Dawn of Sorrow built on Aria’s innovations. 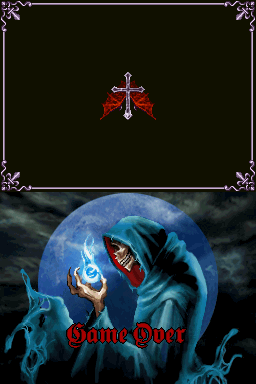 Other than that, there’s really not much more to say about Castlevania: Dawn of Sorrow. It doesn’t have the innovative new gameplay or the thought-provoking story of its predecessor. It’s certainly not bad, but I wouldn’t call it great either. It’s entertaining and worthy of your time (taking 8-12 hours to beat) and money (it’s about $20 on Amazon), but it doesn’t feel as special as some of other games in the franchise.